Today the Apple iPhone 5 has been unveiled! The iPhone 5 is now thinner, lighter, and is one of the thinnest smartphones in the world! The screen will be whopping 4 inches! 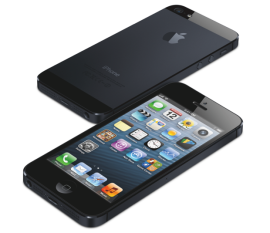 With the iPhone 5’s “A6” Chip, it is anticipated to be twice as fast as its predecessors. Additionally, if you thought the battery life was not good on the 4S, Apple promises more battery life! Up to 10 hours of wifi use. With the ability for 4G, LTE, the iPhone 5 will be able to provide lighting fast internet with carriers such at AT&T, Rogers, Fido and other networks with use 4G and LTE. The iPhone 5 should support networks on GPRS, EV-DO, GSPA, and now 4G LTE. The iPhone 5 will be on sales Sept 21st, 2012. However, Apple has commented they will be taking preorders around Sept 14th,2012. The iPhone 5 will be carrier locked from most networks and providers. Cellunlocker.net will be able to Factory Unlock iPhone 5 to be used on other GSM Networks.